Dakotah Lilly to the Soapbox lineup. Dakotah will be hosting the Soapbox the second Sunday of every month. “Dakotah Lilly is a student activist based out of New York City where he attends The New School. His home base is in the the Lehigh Valley of Pennsylvania. He has appeared on Fox News to defend the Bolivarian Revolution of Venezuela as well as done interviews and articles for Telesur, Counterpunch, American Herald Tribune, PressTv, etc. An activist since a young age, his first major political action was at the age of 16 at Spring Rising held by Cindy Sheehan in Washington DC in 2015. 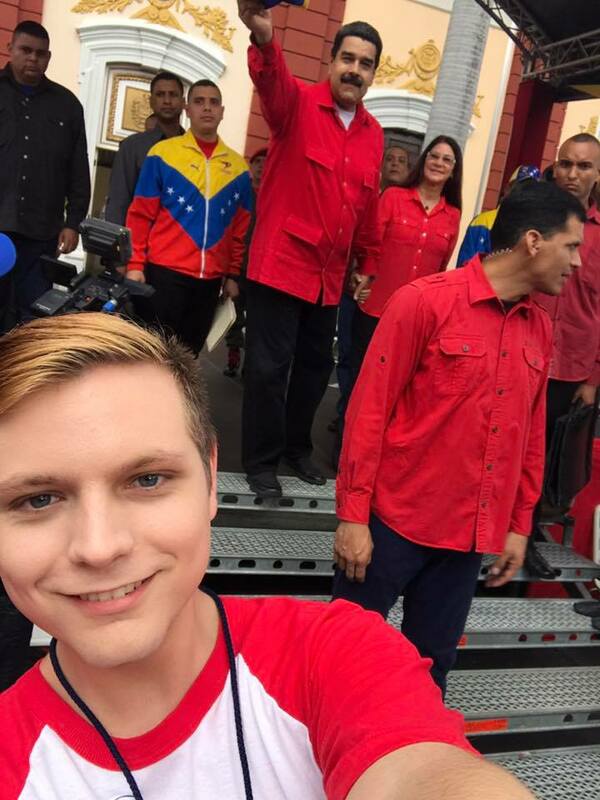 A diehard Chavista, Dakotah has attended the Tomos Somos Venezuela event held in Venezuela in mid 2017. He has also attended the World Festival of Youth and Students in Sochi Russia of the same year. He is the father to one gorgeous Cocker Spaniel named Juku. He has listened to and read Cindy Sheehan’s Soapbox for years and he credits Cindy with being a bit of the light that led him to revolutionary politics and the realm of politics in general. Dakotah Lilly is a Socialist, Anti-Imperialist, Chavista, Vegan, Gay, and a Co-Founder of Students and Youth for a New America.